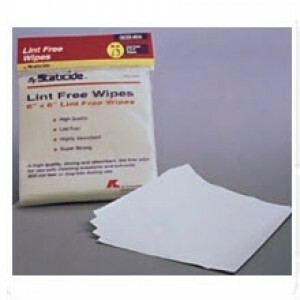 ACL Staticide 8044 - Lint Free Wipes - 6" x 6" - 72 Wipes per Bag, 12 Bags per case. These strong, highly absorbent lint free clothes are for use on any surface. Ideal for computer screens and computer screen filters. 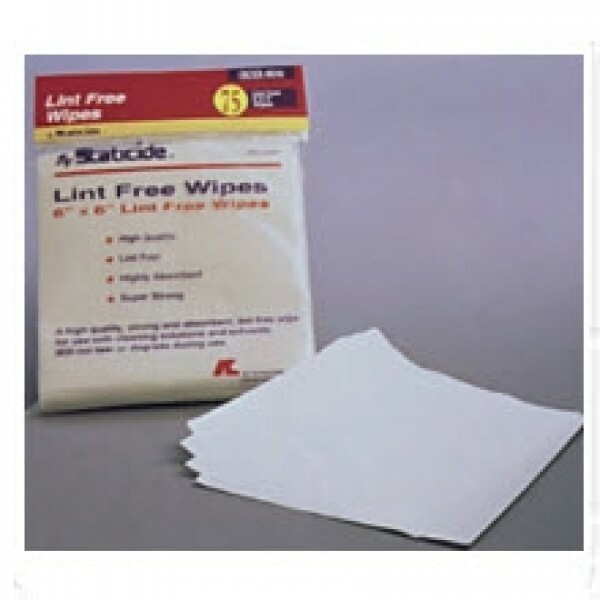 When a little wipe is all you need, the 8044 Lint-Free Wipe can provide the industrial performance of a larger wipe but in an economy size without waste. Outstanding in absorbency and low values of particles, this wipe is ideal for cleaning office equipment and machinery displays.